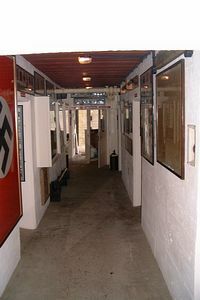 A visit to the Channel Islands Military Museum is a must for all visitor'swho want to experience a little bit of what it was like during the German Occupation. With many fascinating displays of both German and Civilian artifacts collected over the last 40 years by the Museum's owner. From photographs and documents to uniforms and weapons to the famous German Enigma machine. 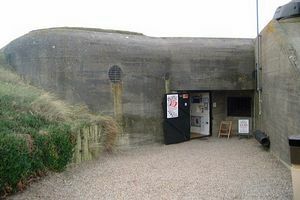 All displayed in an original and restored German Bunker which formed part of Hitler's Atlantic Wall defenses. You will not be disappointed with your visit as you can ask any questions at the ticket desk concerning the Occupation and get the answer from someone who was there at the time. Mr Len Horn is often on the desk and lived throughout the Occupation in the Island. He along with the rest of his family narrowly missed being deported to Germany to one of the civilian Internment camps. Such information and stories cannot be beaten when told in person. Situated just a short walk from Jersey Pearl on the seaside of the road the Museum forms part of the sea wall.